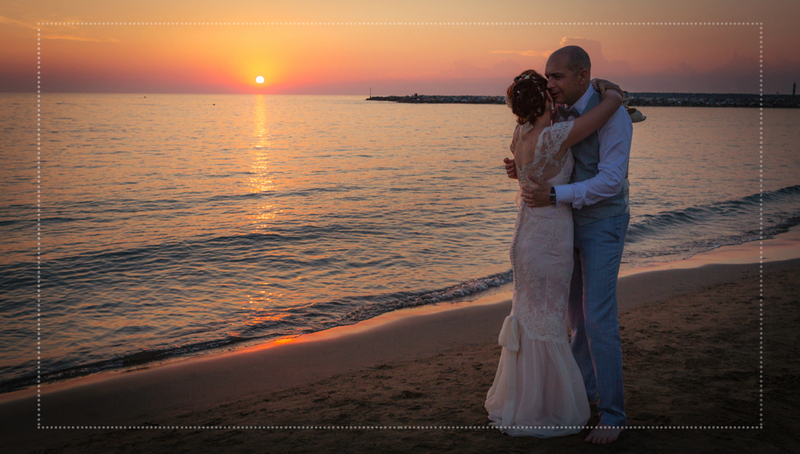 Get inspired by Rebecca and Stefano’s vintage beach-themed wedding in tuscany Italy. Check out DIY projects and decorations for a unique vintage wedding. 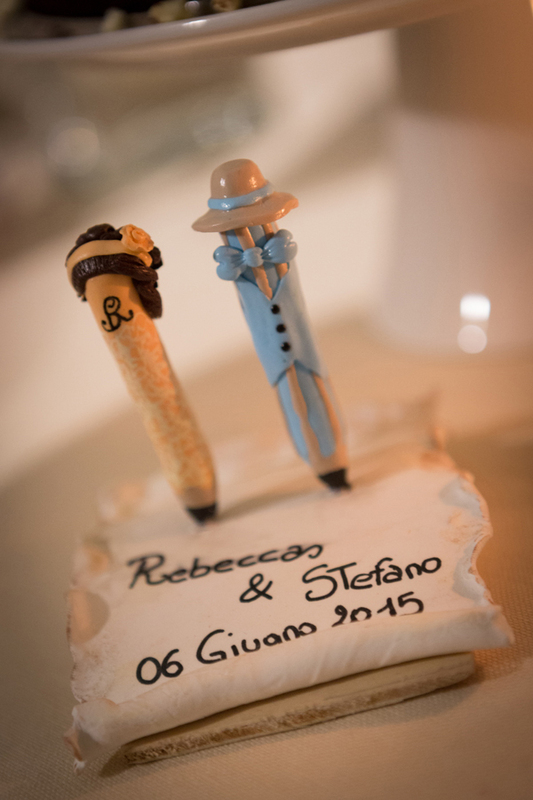 Rebecca and Stefano’s vintage wedding offers great ideas for vintage beach-themed wedding. 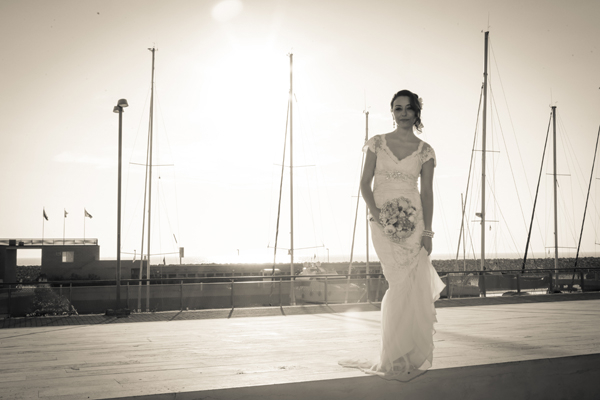 The bride’s dress was designed by Angela Alfuso and handmade in Italy. 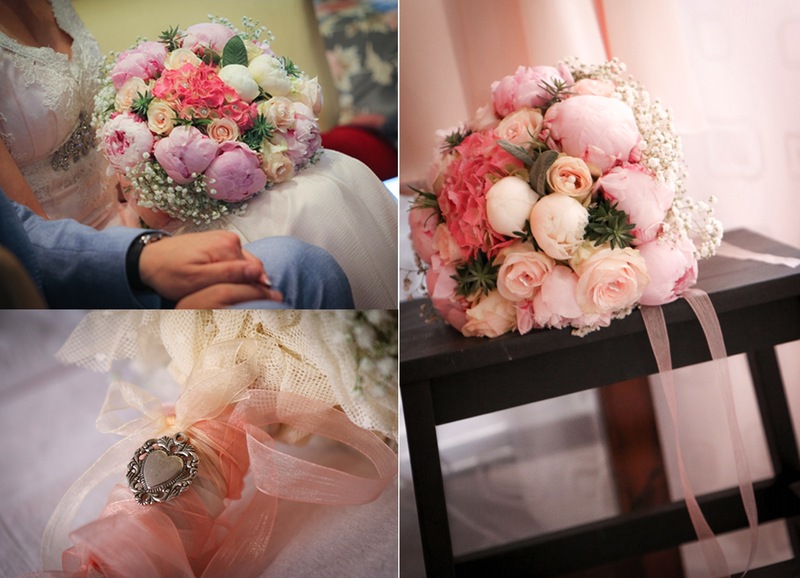 The flowers chose for this vintage wedding venue and bouquet are pink peonies, peach roses, white, blue and pink hydrangeas, and gypsophila. 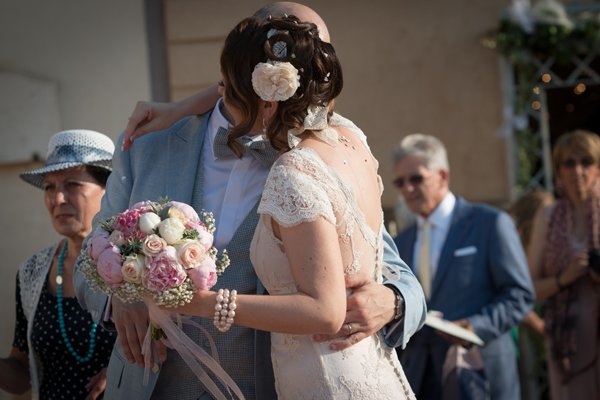 Rosemary and sage were added to the bouquet as a sign of courage, long-lasting love and healthy life. 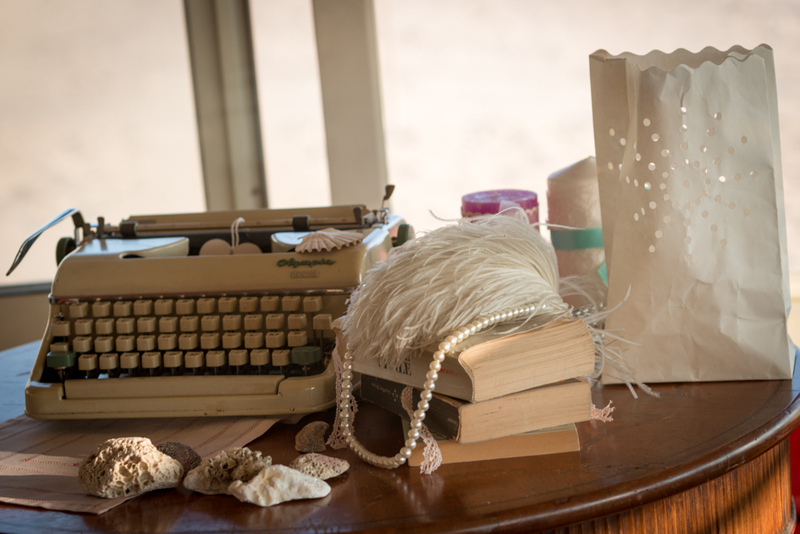 The vintage wedding reception entrance was decorated with pieces of wood, candles, lanterns, ribbon lace, and seashells. 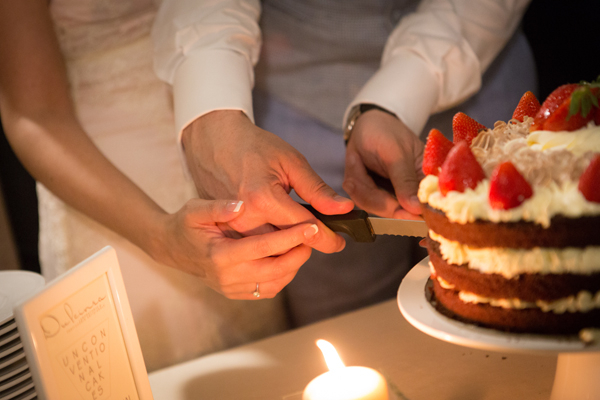 Confetti were used instead of the traditional rice or flower petals after the wedding ceremony. 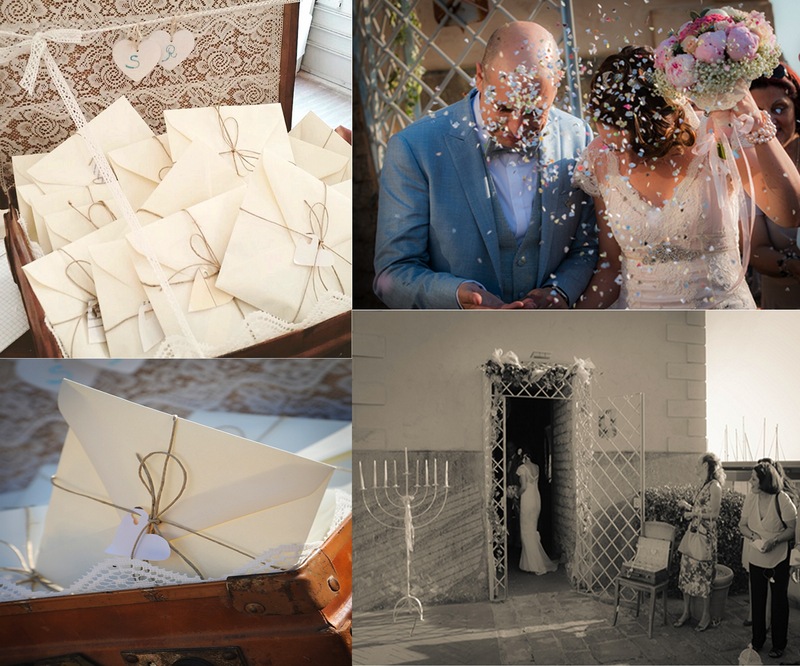 The confetti were placed in ivory envelops, placed in an old suitcase at the entrance of reception. 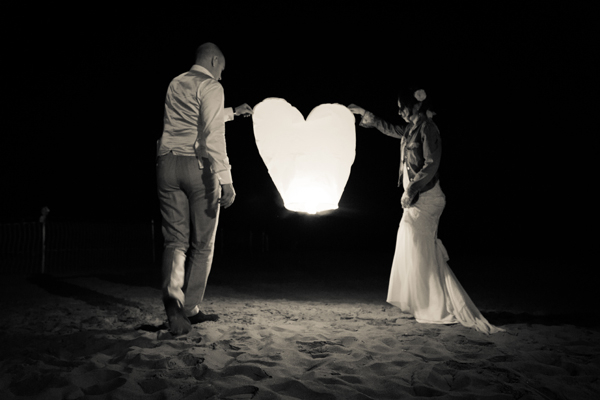 Once Rebecca and Stefano exchanged vows, the celebration moved to a beach reception. 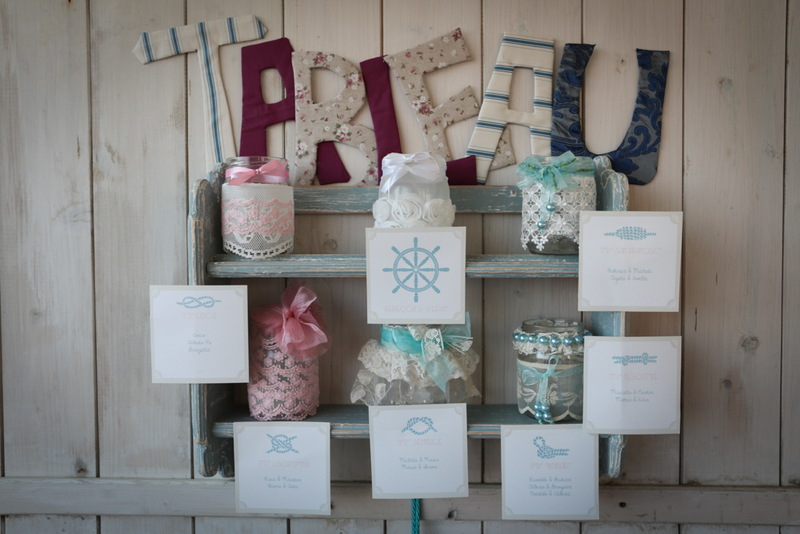 This unique vintage / nautical inspired wedding guest seating chart was created using a blue “shabby-chic” rack. 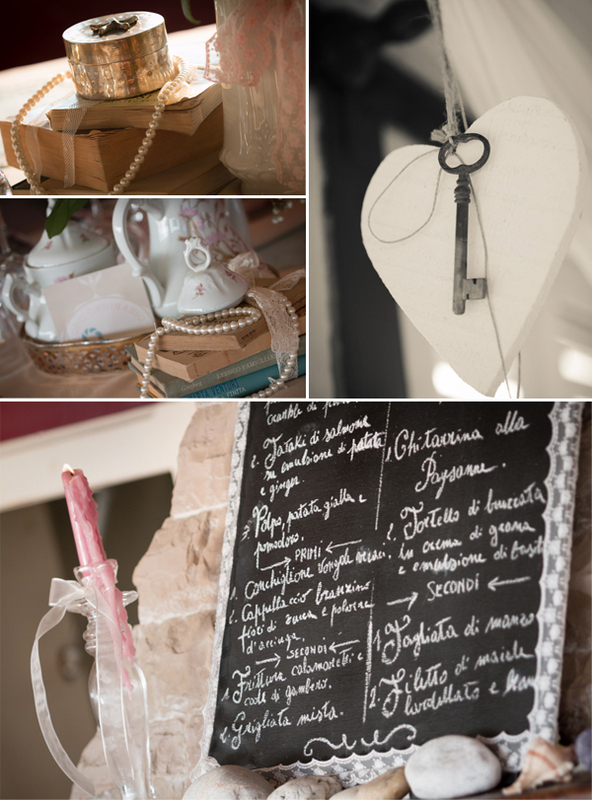 Glass vases covered by lace, ribbon and pearls gave a chic vintage touch to the seating chart. 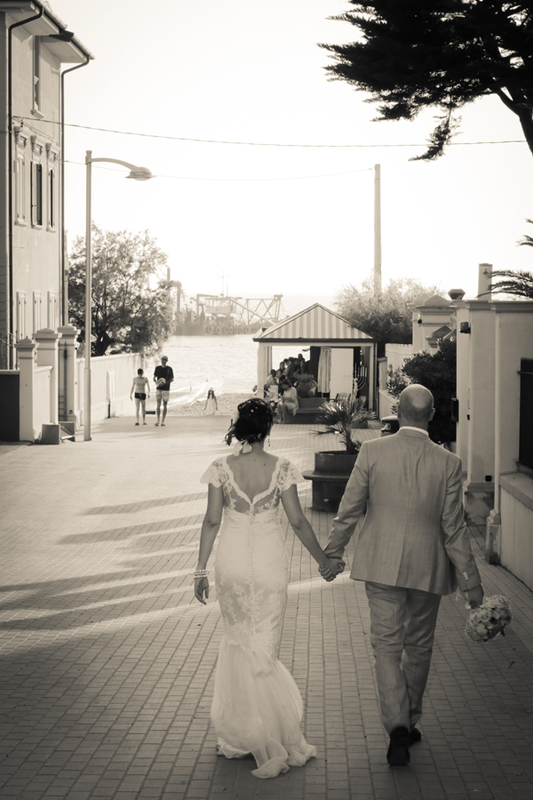 The vintage wedding theme perfectly fit the location. 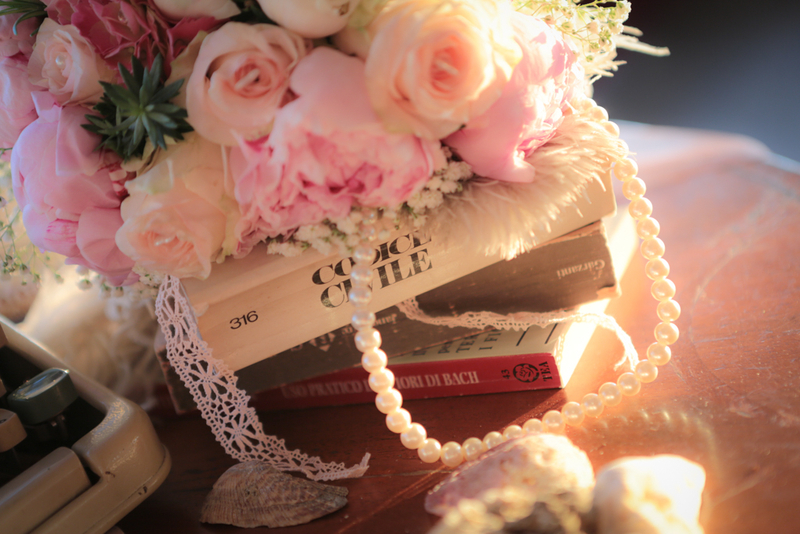 Vintage sugar bowls, ribbon lace and pearls, vintage books, peonies and candles were used as centerpieces. 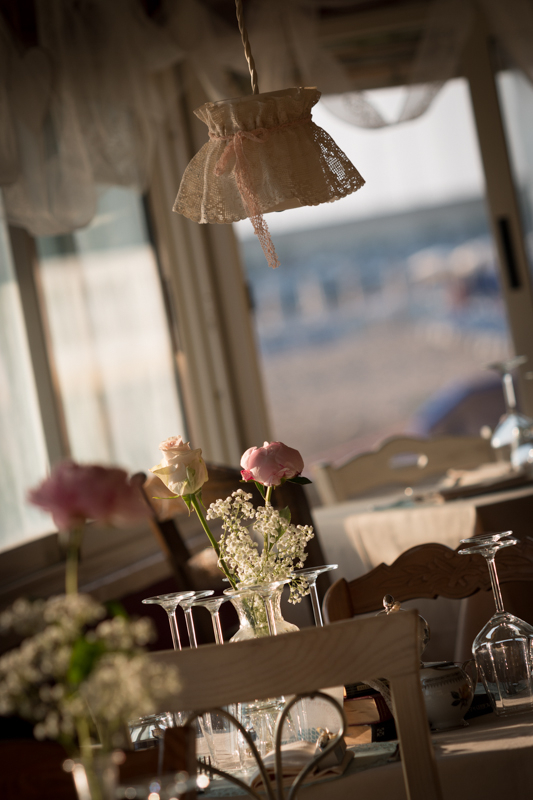 Cream linen tablecloths, and romantic lace chandeliers were scattered on the table to recreate the ambiance of Rebecca’s grandmother home. 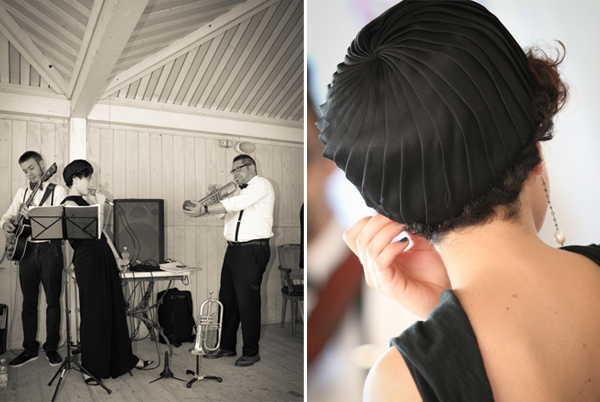 The music band is a perfect match for a vintage wedding. 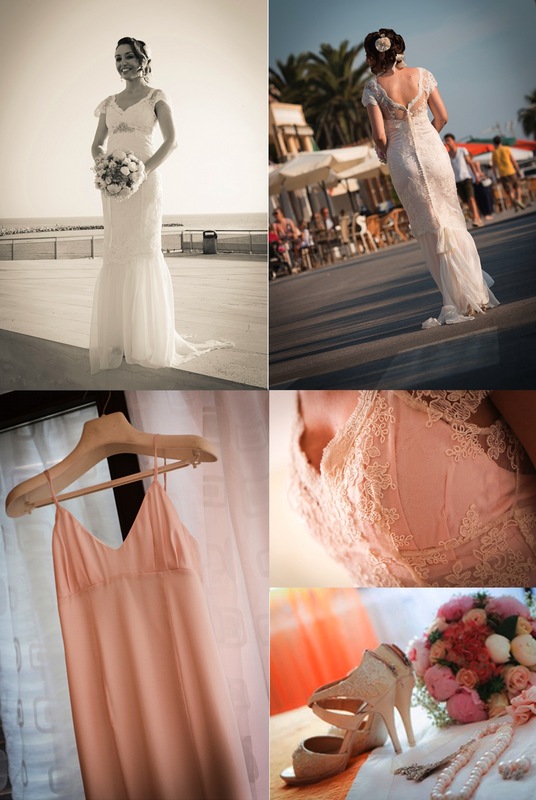 They stumbled upon the band in the streets of Bologna, and decided to hire them for the wedding on the spot. 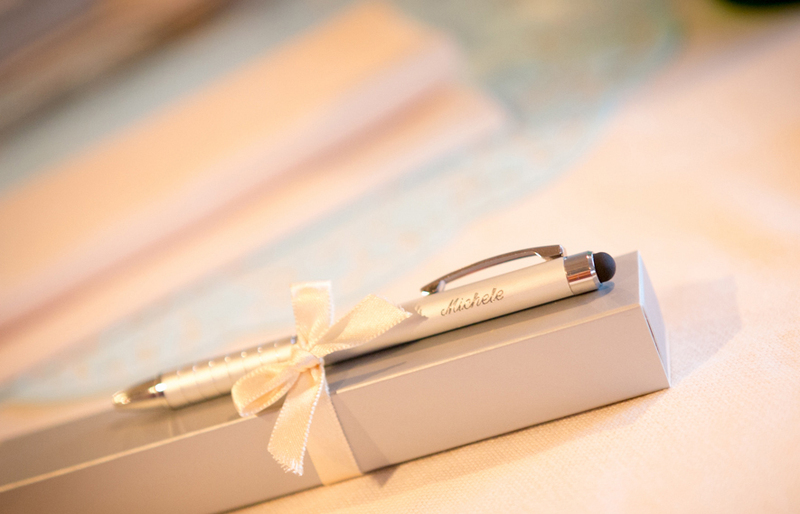 Personalized pens were used as wedding favors and place cards. 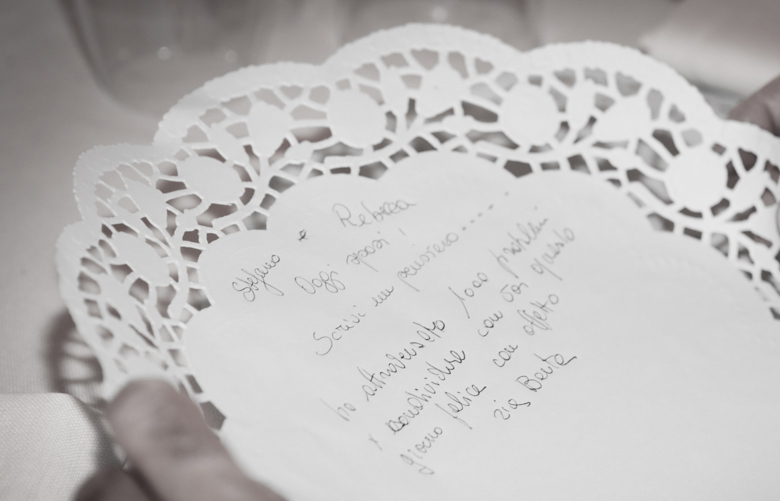 The guests used them to write messages and sign the guest book. 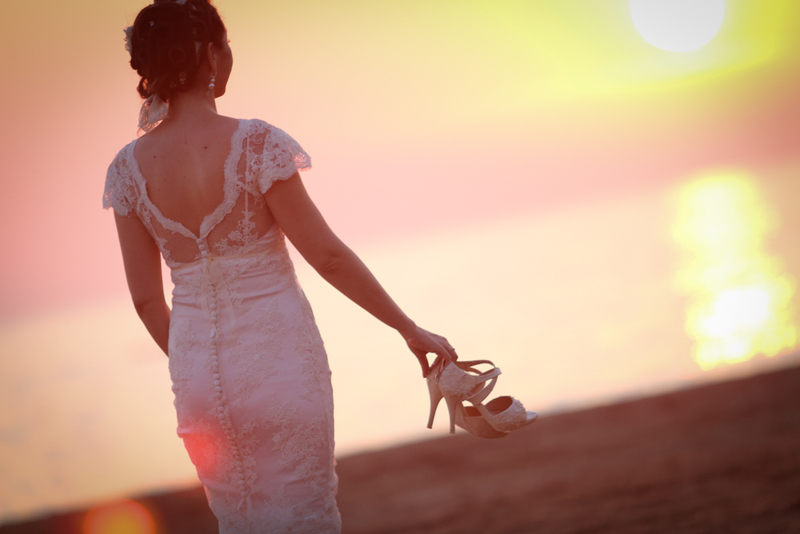 The sunset at the beach offers a unique background for romantic wedding pictures. 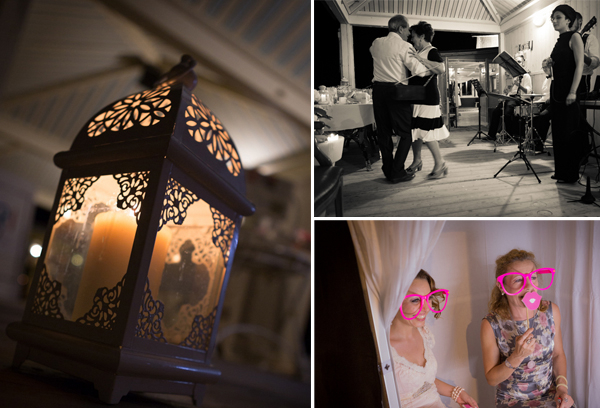 The band and the photo booth entertained the guests throughout the night. 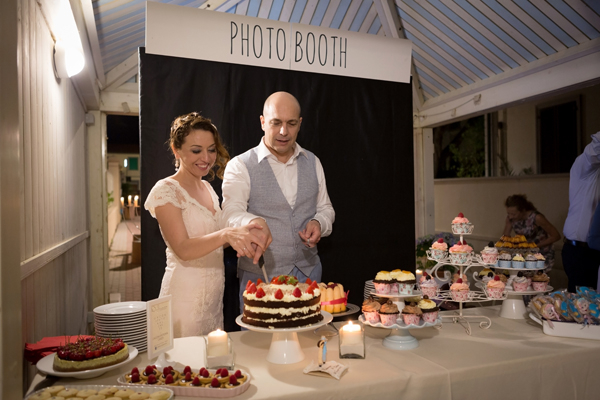 The dessert table was displayed organic pistachio and cherry cheesecake, cupcakes, and raspberry, cream and chocolate pastries. 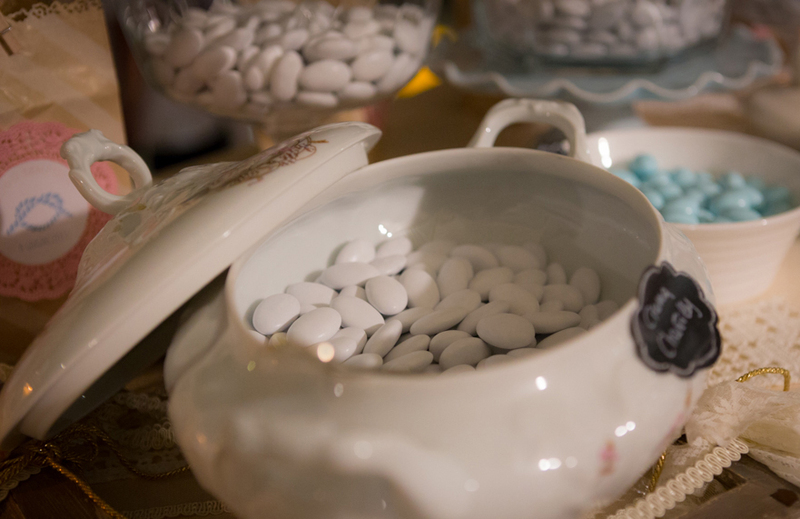 Of course, it wouldn’t be a proper Italian wedding without artisanal sugared almond. 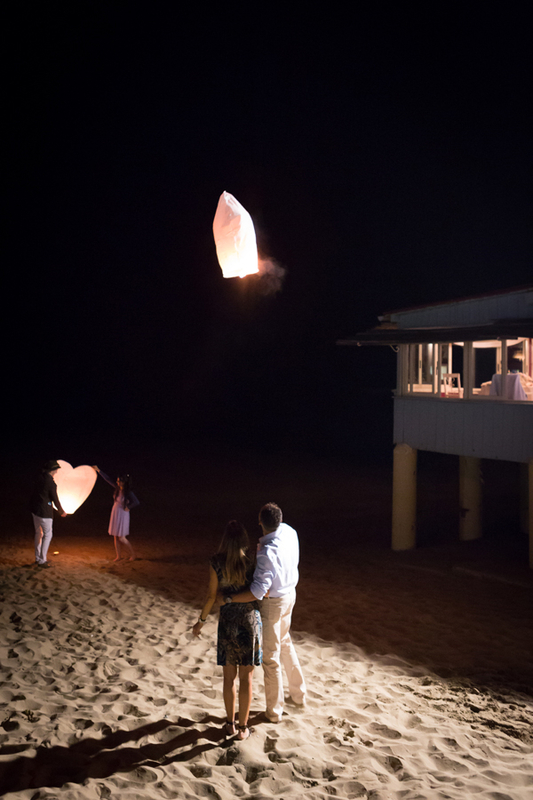 Heart-shaped sky lanterns ended the day on a very romantic note.